AB 1407, Wolk. Solar energy systems. for these grants or loans. This bill would prohibit a local public entity from excepting residents in its jurisdiction from these requirements. The bill would also establish the particular standards that solar energy systems for heating water and producing electricity must meet, and would make a clarifying change. an alternative system of comparable cost, efficiency, and energy conservation benefits. (c) (1) A solar energy system shall meet applicable standards and requirements imposed by state and local permitting authorities. (1) "Significantly" means an amount exceeding 20 percent of the cost of the system or decreasing the efficiency of the solar energy system by an amount exceeding 20 percent, as originally specified and proposed. 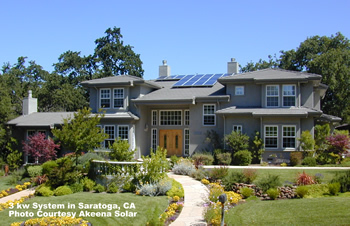 (2) "Solar energy system" has the same meaning as defined in Section 801.5. (h) (1) A public entity that fails to comply with this section may not receive funds from a state-sponsored grant or loan program for solar energy. A public entity shall certify its compliance with the requirements of this section when applying for funds from such a grant or loan program.